Drummer/Percussionist Jim McGrath continues to break new ground in unveiling the spiritual essence of ancient and modern tribal rhythms. With a pure and natural approach to recording (no synthesizers or samplers), McGrath utilizes drums and percussion instruments from all over the world as well as the many drums and instruments that he creates and makes himself. 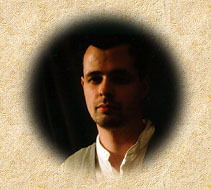 His compositions draw from the diverse cultures of Africa, Cuba, Asia, Pakistan, India, Australia,Brazil, Ireland, Tibet, South America and North America, creating unique tribal-ambient grooves that truly defines World Beat. Jim McGrath is based in Los Angeles where he records and performs with a wide variety of bands as well as recording for TV and film soundtracks (Northern Exposure, Endangered Species, Suture, Meet Wally Sparks). His understanding of the breadth and power of drumming as more than a tool for entertainment has also led him to become an integral part of meditation and healing workshops as well as dance and movement workshops. His chosen path and passion for drumming has brought forth three solo recordings, Percussive Environments, Drum Spirit, and Soul Dancer. As well as his newest release Passport. Born and raised in Basel, Swizerland, composer/percussionist Stephan Baer began his musical career at the age of thirteen playing drums, percussion instruments and electronic keyboards. 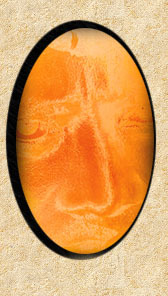 He went on to study with such noted european artists as Fritz Hauser and Cosimo Lampis who introduced him to the exotic world of rhythm and taught him to expand his musical horizons, which led him to not only pay attention to local music but also, in the many travels all across Europe and Northern Africa to appreciate different cultures and their music.Influenced by such artists as Tangerine Dream, Jean-Michel Jarre and Kraftwerk, he became fascinated with the concept of synthesizers and modular synthesis which led him to put together a small home studio, making his first compositions, using various percussion instruments combined with modern synth textures. While still going to school, Baer joined local bands that went on to perform throughout Switzerland, Germany and France.At the age of twenty-one after finishing school, Baer moved to Los Angeles to pursue an education in music and recording. He received degrees in engineering and recording arts and sciences and graduated from UCLA. During his studies he continued to expand his home studio leading to the birth of Blue Nile Recording, a commercial facility in Burbank, California, which now stands as one of the top studios in Los Angeles, catering to a wide range of artists and has brought forth Stephan Baer's four releases Across Distant Lands, The Dark Frontier, Islands of the Orient, Seven Seas. Rapture, the newest member to the Talking Drum family, is the creation of composer/producer Steve Edwards, who also plays piano, synths and percussion. 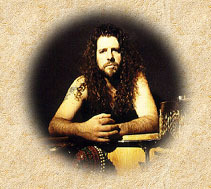 He is joined by bassist Randy Tico and Judd Miller who plays sax, flutes, Indian oboe and African penny whistle. Rapture's debut release Beyond Borders is a unique world groove that has been likened to the styles of Deep Forest and Enigma . "Beyond Borders is a salad bowl of sound--all of the songs suggest movement and dancing. Modern technology has allowed a true juxtaposition of voices and instruments from the furthest corners of the globe all framed around rhythmic beats and patterns. It's foundation is built by drums from every land and singers in many tongues. The lyrics are not meant to be understood by any one culture, still it is my wish that people find themselves singing these songs in tongues they do not speak. I hope the listener will be taken on a global journey, andthat the tour will include aural 'visits' to sounds, rhythms and phrases never before heard. This album is meant to be accessible to an audience that would not fancy themselves listening to 'world' or 'trance' music. If we can just get them to listen, they'll discover something new in this music. Moussa Traoré is a very accomplished Malian "jembefola," which means "player of the jembe" in his language of Bambara (Bamanankan). Moussa has been playing the jembe for the past twenty-five years. In 1984, after completing a twelve-year apprenticeship, he was deemed a "master" by his teacher, Sega Cissé. Since that time Moussa has achieved great recognition throughout Mali as an accomplished musician in the theater, in traditional ceremonies as well as in the Malian pop music scene. In 1984, Moussa began playing jembe with his first theater troupe, Troupe Babemba. From there he went on to play with several Malian theater troops including: the Ballet National de Mali, Troupe District de Bamako, and Troupe Siwa. Until his recent move to the United States, Moussa was the director and lead drummer of Troupe Komi Djossé in Bamako, Mali for over four years. Moussa brought the troupe to national recognition through their music video entitled, "Ti Samba," in which Moussa is featured as lead drummer and vocalist. Beginning at the age of seventeen, Moussa was selected every year to represent the region of Bamako in Le Biennal, the three-month long, national competition of artists from every region in Mali. At each competition, Moussa led his troupe to win the highest honors until the national competitions ended, with the overthrow of the Malian dictator in 1991. Since 1991, Moussa has played jembe on the albums of more Malian pop artists than any other jembefola in Mali. He has recorded with such artists as: Djénéba Seck, Molobaly Traoré, Za Yousouf, Nanou Coulibaly, Sabou Dorunté and Soumaila Diallo. Until coming to the US, Moussa was the jembefola for Malian pop singer, Djénéba Seck, whom he toured with throught West Africa (and briefly in America) for over six years, in addition to his work with Troupe Komi Djossé. In addition to his extensive performance and recording career, Moussa has established himself as an internationally respected teacher of traditional Mande music. During his three-month stay in the United States in 1994, Moussa taught jembe and was the lead jembefola for the West African Dance and Music Program at Brown University in Providence, Rhode Island. In 1998, Moussa was invited to France by La Nef des Musiques, a nonprofit organization endorsed by the French Minister of Culture that provides arts and education programming in public schools. Moussa worked as an "artist in residence" in four schools teaching students ages 5-17 the traditional music of Mali. His teaching experience has also included working with several European apprentices who have studied jembe, dundun and drum-making with him in Bamako, Mali over the past ten years. 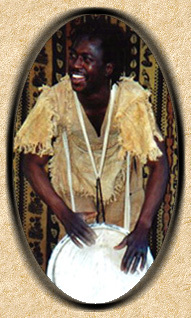 Since moving to San Diego, CA in September 1998, Moussa has been performing with two local drum and dance companies, Teye Sa Thiosanne and the Bomani Drummers. As well, he teaches two weekly drum classes, gives private lessons, and drums for three weekly West African dance classes. Although he is of Bambara descent, Moussa performs the rhythms of a number of Mali's ethnic groups including: the Bambara (Bamana), Malinké (Maninka), Dogon, Maraka (Soninké), Bobo, Bozo, Minianka, Sorghai, Peul and Khasonké. Among musicians in Bamako, Moussa is considered to be one of the top jembe players in the country. But you can of course judge with your own ears once you hear him play. workshops, classes, performances and drum sales.